Everyone has those cherished memories of our lives. All too often, those precious past memories are consigned to storage on media formats that are no longer widely used today or are fast disappearing. A classic example is VHS cassette tapes. Once every home had a VHS player and we watched everything from blockbuster movies to our wedding video and home movies of our kid’s first steps. Now VHS has largely been consigned to the dustbin of history. Yet those once familiar tapes lie unwatched and unwatchable in our garages and storage. Sadly, these VHS tapes start slowly deteriorating after a few years. Their surfaces become pitted and corroded because they were never designed to be long-lasting and were certainly never intended to survive forever. Consequently, the data once saved on these tapes is becoming lost in the mists of time, exposed to the vagaries of climate, storage conditions and humidity. However, now thanks to the magic of digital technology those memories can be preserved for posterity and future generations. So, the best way to preserve your golden memories recorded on the now discarded VHS or tape recording formats from disappearing forever is to convert VHS to DVD. Preserve your memories and save all your recorded special moments forever using a VHS to DVD transfer service. 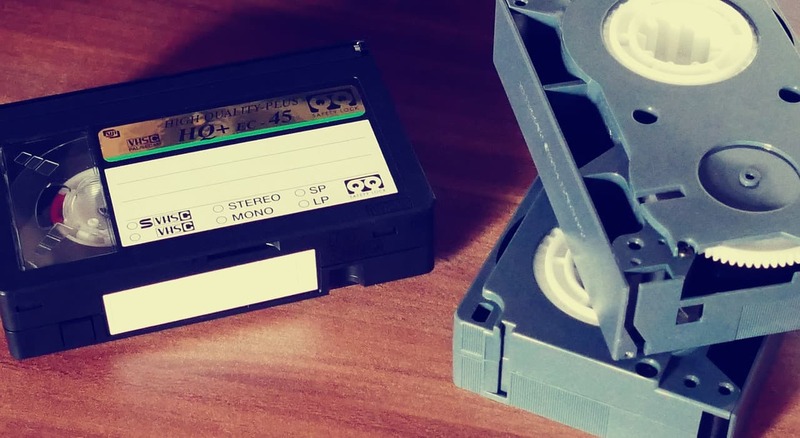 A professional digital transfer service will convert your ageing tapes, VHS recordings and VCR tapes to the modern DVD format. These professional tapes-to-digital transfer services are fast, reliable and affordable, producing results that are far superior to trying this at home. A professional digital transfer service can rescue all your recorded memories, ensuring you experience a smooth migration into the digital age. When you choose a professional transfer service, you can kick back and enjoy your favourite content far beyond the designed lifetime of obsolete technologies such as VHS tapes. Fantastic transfer and restoration results will revive your bright colours and great picture quality too. Special memories should live forever. Regrettably, the rapid pace of technological change means storage technologies come and go. VCRs, VHS devices and magnetic tape players are fast disappearing from our homes and the technical expertise to repair or replace them is fast disappearing too. So, how do you maintain and preserve your most treasured moments that you recorded on those outdated devices? Professional transfer services can convert VHS to DVD, or transfer any tape recording to digital format. This digital technology can save your wedding memories, recordings of your children’s first steps, birthdays and sporting prowess, together with family events, special performances, meaningful events and much, much more. Convert VHS to DVD and you can continue sharing those memories with anyone, anywhere. Or simply preserve them to last decades to come for your children. Mould poses a danger to your tapes anywhere that moisture and heat come together, be it in your attic, in your cellar or in the garage. VHS tapes and tape recordings are very susceptible to mould, particularly in moist, humid climates or if stored improperly. If your precious tapes show signs of damage, environmental effects or mould, don’t throw them away! Many conversion services can clean your tapes, restoring them to perfect working order. The forces of moisture, dust, dirt and mould can be banished without damaging your tapes or endangering your memories. Once your old VHS tape recordings are transferred to DVD, you have access to them at the click of a mouse. You can upload them to the Cloud, drop them onto your hard drive or save them on a back-up drive. Explore having your old VHS and tape recording transferred if these benefits are important to you. If your memories are important to you, have your VHS and tape recordings transferred to DVD today.